Improving the chemical resistance of phototransmissive windows for measuring chemical concentrations. Equipment for measuring the concentration of chemicals employs components that consist of windows which allow the passage of lamp-generated light, and adhering flanges for holding the windows. 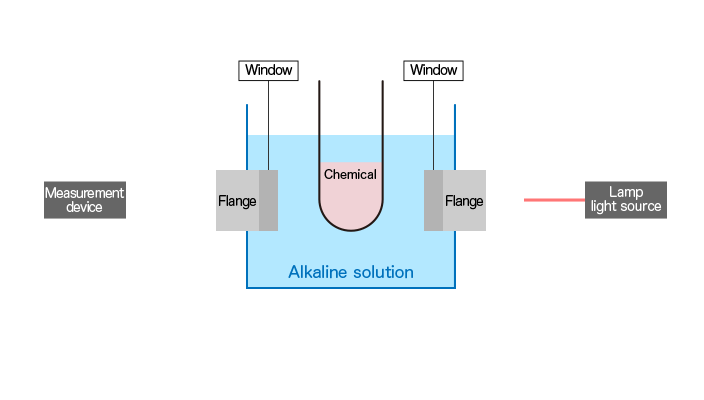 The windows are exposed to an alkaline solution, so the resistance of the window material to alkaline corrosion is important in terms of maintaining the measuring equipment's accuracy and continued use. Quartz had been used in both the window and flange portions of phototransmissive windows, with adhesive being used to join them. 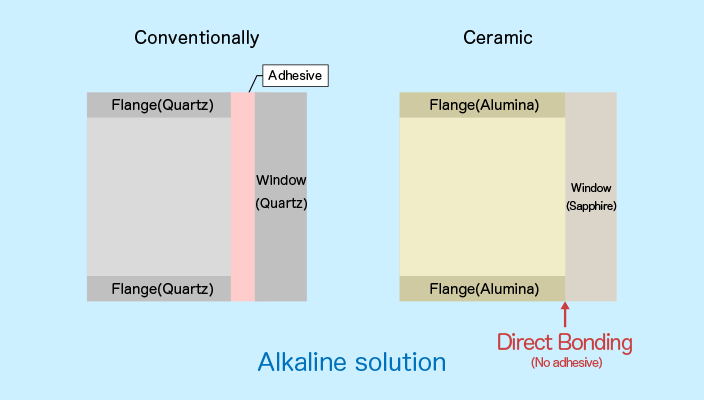 Since phototransmissive windows made with quartz would corrode with an alkaline solution, there was issues with the window and flange becoming detached. 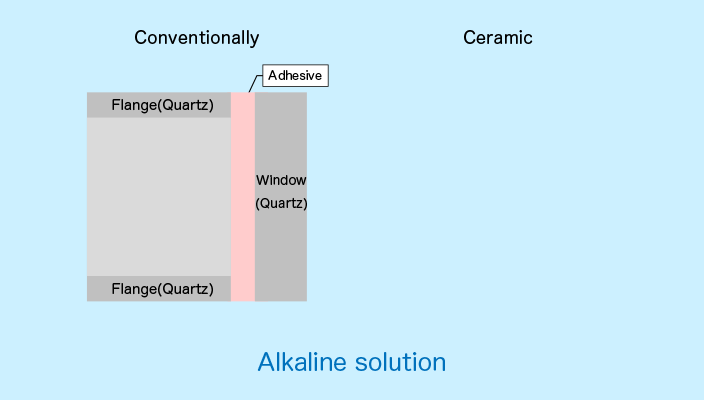 We used ceramics, which have a higher corrosion resistance to alkalines compared to conventional phototransmissive windows using quartz. 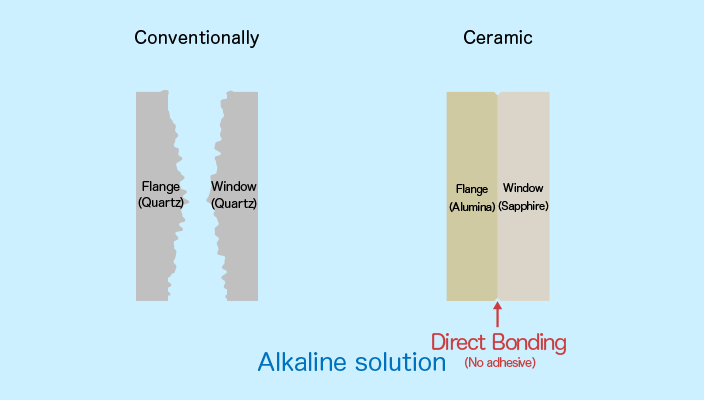 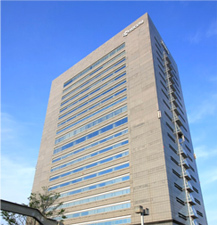 Specifically, window material was changed to sapphire and flange material to alumina, and Kyocera technology for directly joining ceramics together yielded a non-adhesive design. 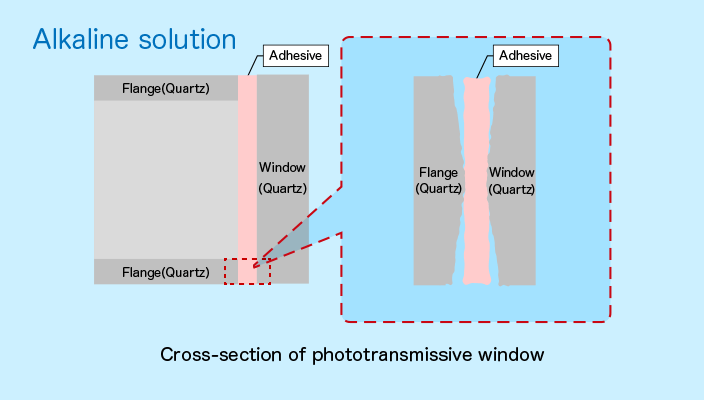 This allowed us to achieve improved alkaline resistance of the phototransmissive windows. 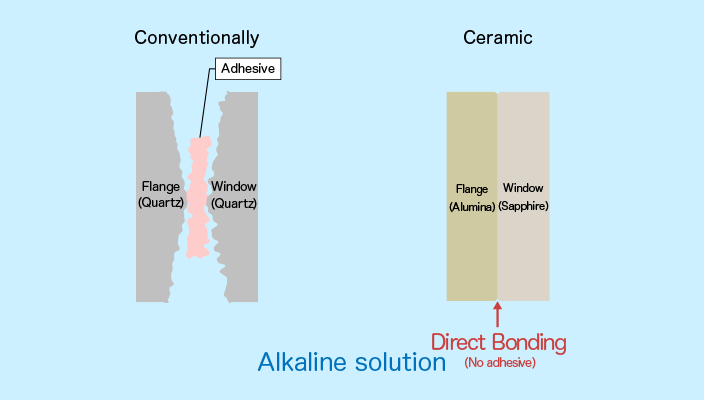 The client highly evaluated the results of accelerated testing on non-adhesive directly-joined alumina and sapphire, readily available translucent materials which possess a high degree of corrosion resistance with regard to alkalines. 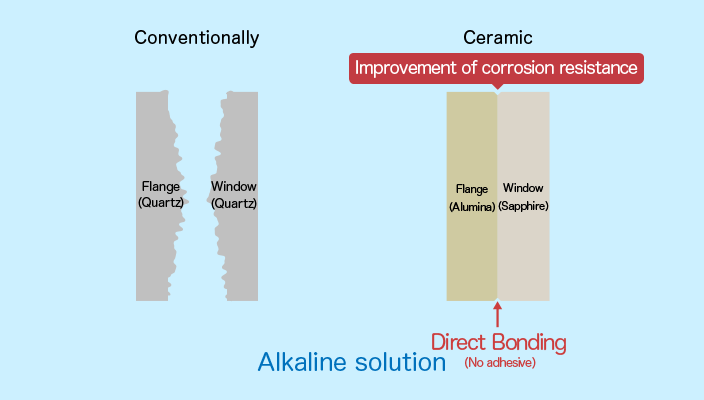 The results showed their reliability with a period of service usage up to about 20 times longer than conventional quartz components. 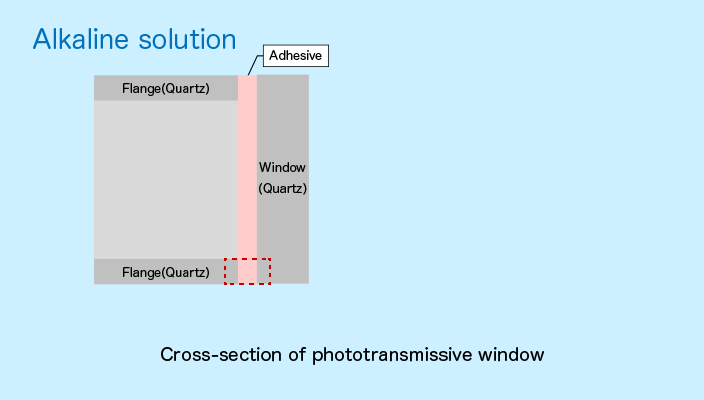 For the readers convenience, structures in the pictures and animation have been simplified. 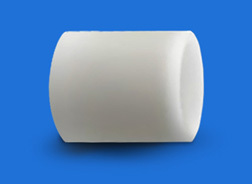 Material property can change depending on operating conditions.